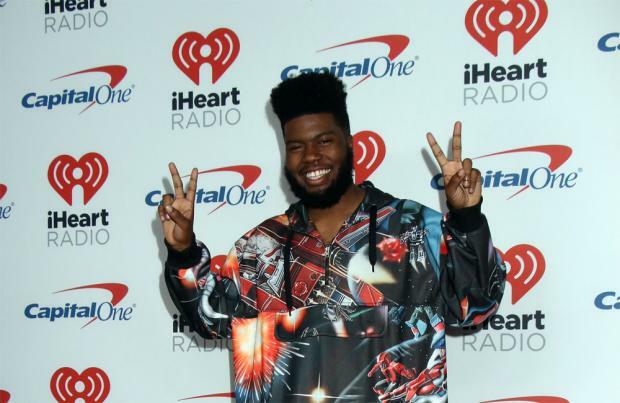 Khalid is among those nominated for this year's BBC Music Sound of 2017 honour. The 'Young Dumb & Broke' hitmaker will battle it out with the likes of 'Phases' singer ALMA, 'Bestie' star Yxng Bane, goth rockers Pale Waves and Norwegian pop beauty Sigrid to be receive the prestigious rising talent accolade. Radio 1 DJ Annie Mac, who will announce the winner live on air on Clara Amfo's show from 10am on January 12, 2018, said: "I'm super excited to see so many young and innovative rising stars from around the world on this year's Sound Of 2018 longlist. Some acts will be brand new to UK audiences and many have already started to make an impact with us at Radio 1 and 1Xtra and out performing live. Countless numbers of talented artists have featured on previous Sound Of lists and I'm delighted by the level of talent presented again this year. I can't wait to be a part of their journey and see what the year ahead has in store for them all." Chris Price, Head of Music for Radio 1 and Radio 1Xtra, commented, "The BBC Music Sound of 2018 longlist is impressive for its strength and diversity. The stellar list of new acts here, many of whom have seen significant early support from Radio 1 and 1Xtra, fill me with confidence that 2018 will be an exciting year for emerging talent." James Stirling, Editor, BBC Music added: "BBC Music this year has launched a brand new pop show Sounds Like Friday Night for BBC One as well as 'At The BBC' specials with Harry Styles, Sam Smith and U2, and I'm delighted that we're also once again shining a light on, and celebrating, such incredible burgeoning talent that make up the BBC Music Sound Of 2018 longlist." Last year saw Ray BLK honoured with the title. The previous winners are Jack Garratt (2016), Years & Years (2015), Sam Smith (2014) HAIM (2013) Michael Kiwanuka (2012), Jessie J (2011), Ellie Goulding (2010), Little Boots(2009), Adele (2008), Mika (2007), Corinne Bailey Rae (2006), The Bravery (2005), Keane (2004) and 50 Cent (2003). The daily countdown of the Top 5 will begin on BBC Radio 1 on January 8, 2018, before the overall winner is announced on January 12.